Honouring none other than the Qing Dynasty’s most luminous lord of ten thousand years. There is a chant in China that was once reserved exclusively for the imperial Chinese court. In Pinyin, it goes Wuhuang wansui wansui wanwansui (May my Emperor live and reign for ten thousand years). And as one tours historical sites of great significance such as the Forbidden City, this same spirit of imperial reverence remains suffused. Having served as the royal dwelling place for no less than 24 emperors of the Ming and Qing Dynasties, it seemed apt that our visit to Beijing, as guests of the preeminent luxury maison of Montblanc, would include a private tour of this great palace complex that sits in the heart of the Chinese capital. 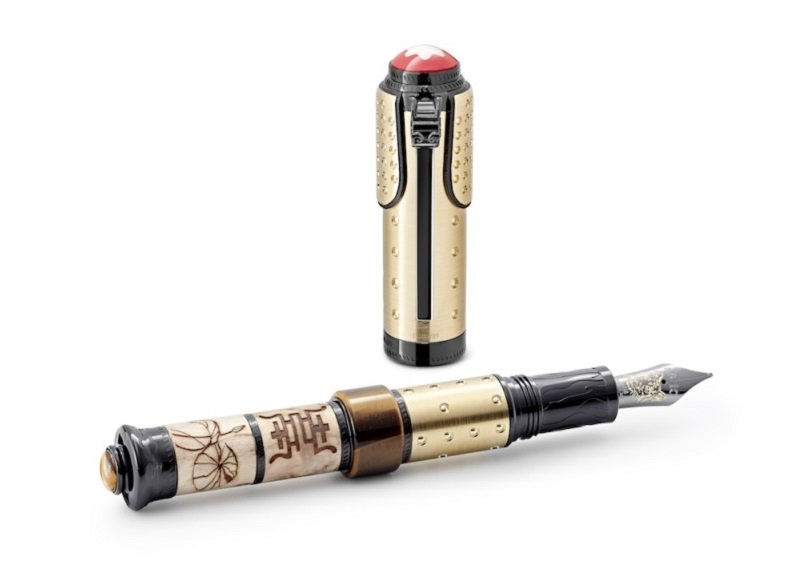 After all, Montblanc’s latest and much-anticipated high artistry collection of writing instruments honours none other than the Qing Dynasty’s most luminous lord of ten thousand years — the Kangxi Emperor. Hailed as the bright light in a long line of rulers, Kangxi was the great-grandson of Nurhaci, the founding father of the Qing Dynasty. As an aside, fans of popular culture will remember the dramatic opening scene in the 1984 blockbuster, Indiana Jones and the Temple of Doom, where the protagonist trades a small urn containing Nurhaci’s remains for a diamond from the Shanghainese mobster, Lao Che. Whether illuminated by fact or tempered by fiction, it is without doubt that Kangxi’s reputation remains cemented as one of China’s greatest-ever emperors in its 5,000-year-long history. Kangxi’s reign, from 1661 to 1722, is said to be one of the greatest periods of peace and prosperity the Chinese civilisation has known. Born the third son of the Shunzhi Emperor, Kangxi also bears the distinction of being the longest-reigning ruler of China, presiding over the Middle Kingdom for six glorious decades. 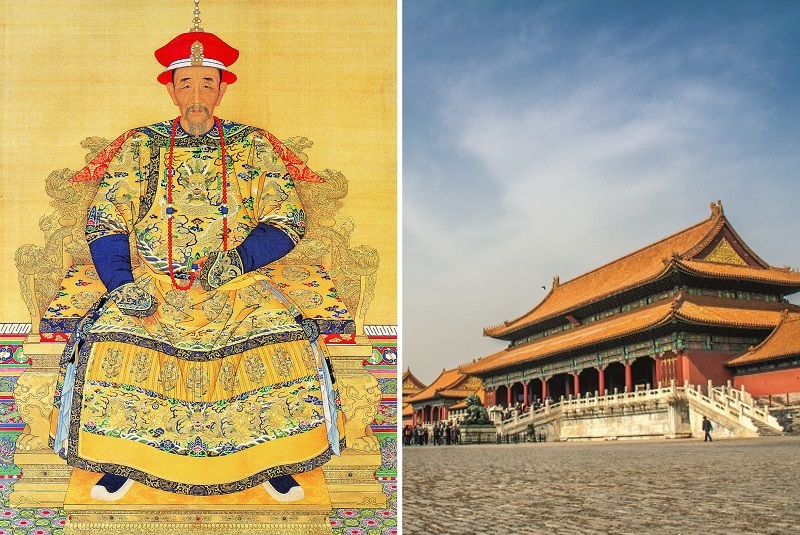 Records show how, in an unprecedented act of filial piety, his grandson, the equally illustrious Qianlong Emperor, purposely ceded the throne to the Jiaqing Emperor early so as not to officially reign longer than his grandfather. Historians wax lyrical about Kangxi being among the wisest, most magnanimous, learned and benevolent of all the Chinese emperors and certainly, he lived up to his reputation well, for his legacy includes making great strides in the reunification of China’s vast territories and creating an empire that was sound, both politically and socially. But besides his obvious gifts as both statesman and warrior, Montblanc’s artisans have not forgotten Kangxi’s intellectual achievements and accomplishments either. Just as the Elizabethan Age is hailed as a golden period in English history, the same could be said of Kangxi and China. Born with an immense passion and thirst for knowledge, the Kangxi Emperor spent his life in pursuit of learning, commissioning the famous Kangxi Dictionary, championing writers, artists, poets and calligraphers and was forward-thinking enough to appreciate advancements in astronomy, mathematics and science. It is all these elements making up this fascinating emperor that the artisans of Montblanc looked to for inspiration. 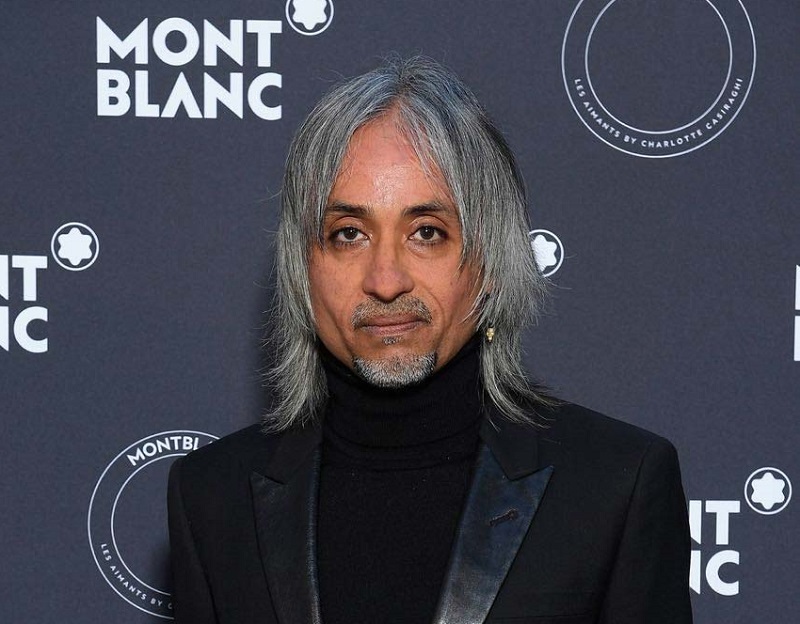 Mood boards we were privileged enough to view showed that Montblanc International creative director Zaim Kamal and his metiers d’art magicians at the atelier brought together a treasure trove of imagery — all rich in symbolism and history — to reinterpret them for the collection. For example, there are pen clips inspired by ruyi sceptres, or details that evoke celestial cloud patterns, the white marble so prevalent in the Forbidden City and birch wood that is traditionally used for bows by Manchu archers. The Montblanc High Artistry Homage to Emperor Kangxi Limited Edition 1, The Hunter, shows, for example, how the pen barrel is inspired by the traditional Manchu love of bowmanship via an archer-inspired jadeite ring. The Limited Edition 89, The General, however, exudes immediate imperial power and authority with its design that brings to mind the emperor’s ceremonial suit of armour. In the Montblanc High Artistry Homage to Emperor Kangxi Limited Edition 10, The Calligrapher, it is clear here that the pen is both writing instrument as well as bejewelled treasure, one that elevates the simple act of writing to virtuosic art. Honouring Kangxi’s famous love of literature, a poem is carved on the fountain pen’s black jade cap and barrel while secret inscriptions — hidden under a white gold shield that can be opened — are further engraved, including a work of calligraphy by the emperor himself that pays tribute to a poem by Tao Yuanming, one of the greatest poets of China’s Six Dynasties period. 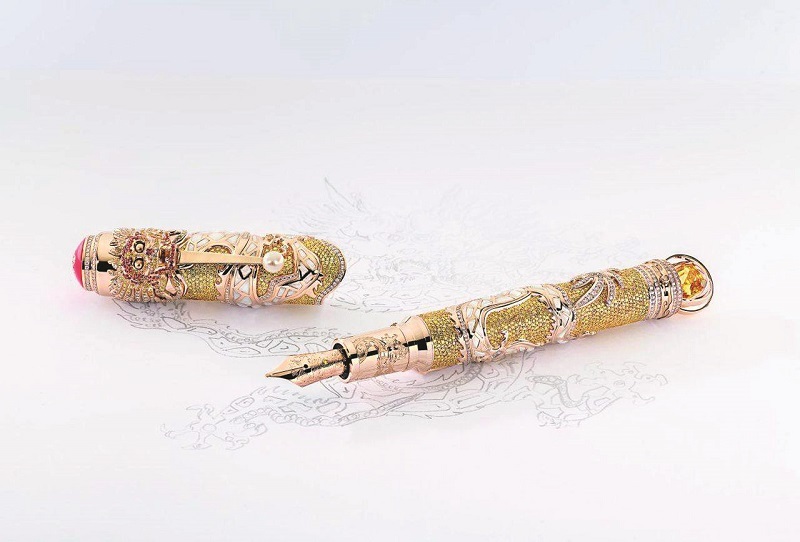 Given the high level of artistry in each and every one of the writing instruments, Montblanc has also thoughtfully created a unique collection of stationery to complement the Limited Editions 1 and 5, each hand-embroidered with the application of pearls and beads and featuring the imperial seal within, together with a portrait of Kangxi. The notebooks’ paper was produced exclusively for Montblanc by Magnani 1404, whose paper mills date back to the 15th century and whose paper — beloved by great men like Picasso, Napoleon Bonaparte and Giorgio de Chirico — is made using a combination of traditional production processes and modern printing technology. As we finally enter the Forbidden City — not through the main Meridian Gate but rather the Xi Hua Men (West Prosperity Gate) as privileged visitors and proceeded to tour sections and palaces that are usually off-limits, including Baoyun Lou (Hall of Embodied Treasures), which houses rare black-and-white images of the last emperor of the Qing Dynasty, the Xuantong Emperor (more popularly referred to as Puyi) with his consort Wanrong, as well as famous sites like Taihe dian (Hall of Supreme Harmony) and the large stone carving, or Dashi diao, that features nine coiled dragons representing the emperor’s supremacy, just behind the Hall of Preserving Harmony — we cannot help but think how fitting that this collection of exquisite writing instruments, in honour of one of the greatest emperors the world has known, should be unveiled in the very place of its inspiration, in a city built for kings. Looking around, perhaps a contrarian thought by the great mountaineer Sir Edmund Hillary sums it up best: “People do not decide to become extraordinary. They just decide to accomplish extraordinary things”. The same can be said for both the Kangxi Emperor and the house of Montblanc. Every collection must have a star and this divine fountain pen is undoubtedly fit for a king. Christened the Imperial Dragon, it is a calligraphic representation of the emperor’s supreme power. Its champagne gold colour mimics the rich yellow silk robes only the emperor could wear while the pen cap is cut in the shape of the sleeve of a royal robe. The nib, fashioned out of Au750 solid gold, bears the dragon’s head. In a reverent nod to the Kangxi Emperor’s famous love of mechanical devices and clocks, the artisans at Montblanc devised special mechanisms whereby the dragon’s eyes may open and close, whether or not the pen is upright or laid down. An avid watcher of the heavens, Kangxi, himself a Son of Heaven, is honoured by the design of the cone, which is inspired by an armillary sphere created to represent celestial movements. Meanwhile, a two-axis mechanism allows a 6.42-carat, square emerald-cut yellow diamond to rotate freely at its centre. It is also so artfully crafted that the precious ornament may be detached and admired as a standalone jewel. 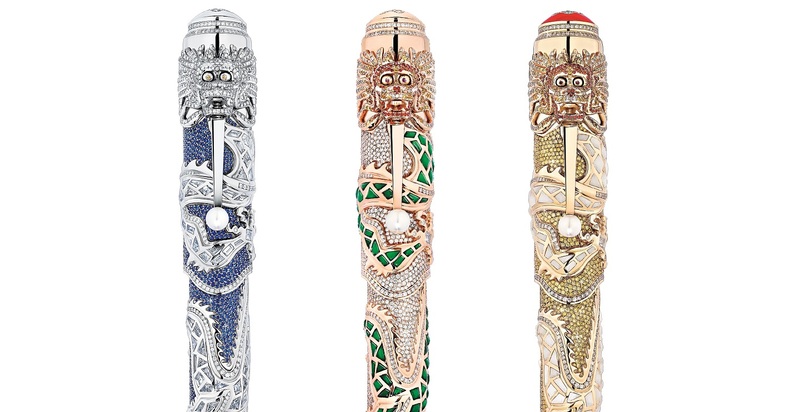 The crown of the writing instrument is also adorned with pavé diamonds while the clip boasts a natural white pearl, a symbol often depicted with Chinese dragons as the pearl is associated with spiritual energy, wisdom, prosperity, power, immortality and, of course, the eternal beauty of the moon. This article first appeared on Jan 7, 2019 in The Edge Malaysia.